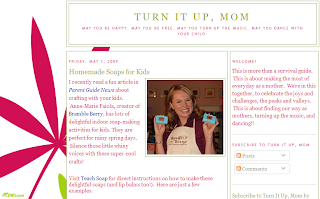 I just received the nicest email from MJ at theTurn It Up, MomBlog. This blog is a survival guide for making the most of everyday as a mother. She found some of our tutorials in an article in Parent Guide News and blogged about it. Get crafty and try our recipes for Cookie Cutter Soaps, Embedded Toy Soap, Lip Balm and Bath Fizzies. See the recipes at their site here or just search the SoapQueen Blog. There are lots of good ones to choose from! Visit Teach Soap for more helpful tips and tutorials! i am so excited i could just catapult into the air. i just got my first wholesale order. i am so excited i had to tell you. actually i have told everyone i meet today..
i’d been quite disfunctionally disoriented when my laptop burned up recently with all my product photos and fragrance lists and business plans and now this week my all in one printer fax copier scanner…..so the good news is what i needed to get me back on track. oh yeah, and i had a bath bomb cupcake giveaway last week and it was a flop! So I took great courage and strength to read your post on Erin Brokovich…..
:)))))))) now to try all my lovely lovely colors!!!! i feel like a kid in kindergarten…. also i think about that Scripture that says, “Cast your bread upon the waters and after many days it will return to you.” I remember this that you told me several months ago about how many “kits” you have sent off to corporations. So I smile every time I make something, knowing that it will speak for itself and someday…someday it will be multiplied many times over!